We all know that tabletop gaming is a lesser well known sub-culture within our society, and while historical wargaming as a hobby has been around decades and seemingly enjoyed by the retired, it is a curious thing when I try to explain what this hobby is to my colleagues at work or my non-gaming friends. Most of the time, it falls flat. I’m sure most of them don’t get it. I usually end up throwing up my proverbial hands, saying that: “miniature tabletop gaming is like chess, but with dice.” Sometimes the response I get just enforce the fact they don’t get it. It’s not baseball, tennis, or even golf (which you need to play to understand). Tabletop gaming has way more depth, and substance than beyond what you see at the surface. How do you explain it? Well, now I think I have a method. I have been watching House of Cards on Netflix, starring Kevin Spacey as the the shady, dangerous, greedy politician Frank Underwood. Without going into any spoilers or plot elements, on one of the episodes this year we find the shyster sitting at a desk, doing not politician things, but painting a miniature solider. You need to thin your paint, Mr. Underwood. And the scene isn’t just a quick transition; it has a small arc through the episode. A few moments watching Kevin Spacey (poorly) applying paint to the legs of this mini, his wife Claire (played by Robin Wright – Jenny from Forest Gump) walks in. That’s a 4′ x 4′ table isn’t it? Oh man, that’s perfect for a Steam Roller. Claire: This is really coming along, isn’t it? Frank: You think it’s childish. Claire (smiling, leaving the room): …. it’s better than video games. 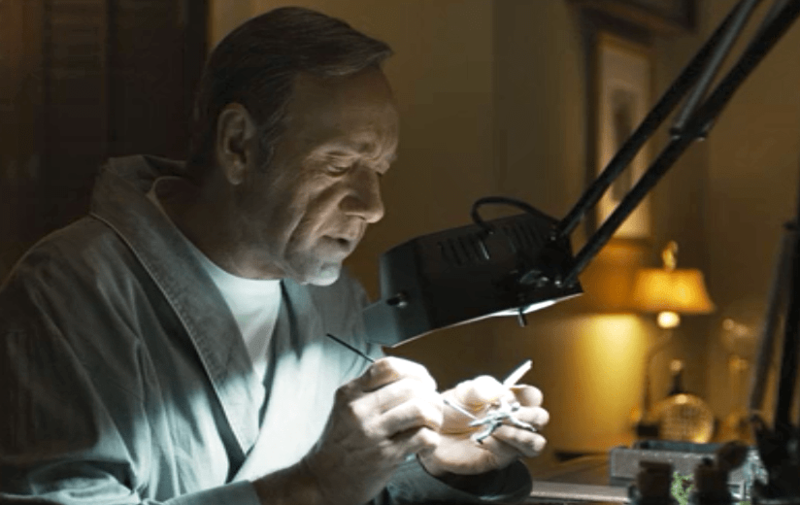 In another scene, the President of the United States is having a conversation with Kevin Spacey’s character and is admiring the tabletop diorama. Mr. President, do you have LOS? Of course, this all makes sense in the scheme of the show — a literal battlefield displayed on a TV show that reveals the fictional, though believable, thrive-or-die mentality in American politics. 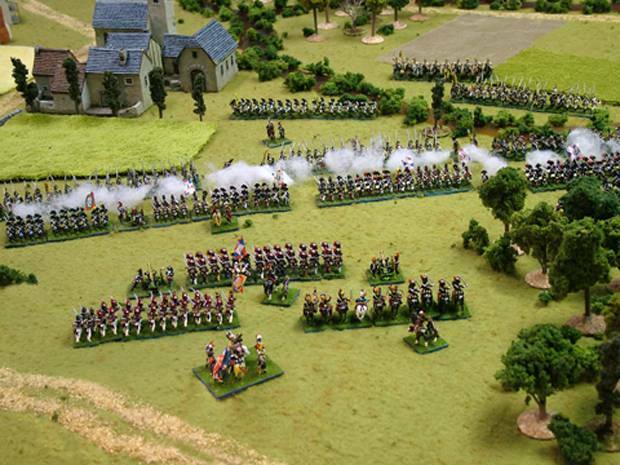 Hmm, off on a tangent: maybe one of the reasons we like miniature wargaming (whether historical, fantasy, sci-fi) is that the gameplay has some reflection of the excitement of competition we face in real life, but without the inherent personal costs. Just the juicy, enjoyable rewards. Or we just like to see ourselves and others from above, projected on a fake world, and through the eyes of superior, omniscient persona. Or maybe, I’m overthinking this. House of Cards, bringing tabletop miniatures to a living room near you.